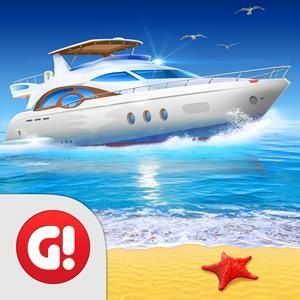 Sunshine Bay Collect Free Items, Daily Cheats, Rewards, Gifts. Can a sailboat move faster than the wind? Link You bet! When a boat is sailing by the wind, its maximum speed is equal to the speed of the wind. Once it reaches this speed, the wind stops putting pressure on the sails. But what if the wind is blowing at an angle? The air current flows around the sails, creating some lift capacity. This also maintains constant pressure on the sails that doesnt decrease as the boat speeds up. Modern catamarans utilize this neat trick very actively and their sails often look more like airplane wings. Have you ever seen a green beach? Probably only in your dreams! Link However, there is a place in Hawaii where the sand is green, due to a high concentration of a mineral called peridot on the shore. It has a distinctive olive hue and glistens so beautifully in the sun that the beach is referred to as the Hawaiian Diamond! Lets Play! Link What could be more amazing than prowling the high seas and deep oceans? If, for some reason, you did choose to stay ashore today, well try to keep you busy all the same. Lets play a word association game! The rules are simple: read the last comment on this post and write the first word you associate with it, e.g., Cloud Rain Autumn Leaf Fall. Ready? Lets start the game with Calm seas." Just Imagine It: a Shell Beach! Link Not so many people were lucky to see this shell beach; no wonder, for its situated in a faraway corner of the world, namely, in the Shark Bay, Australia. In the past, these waters were known as a ship breaking yard, which makes the bay popular with tourists. Besides, the water in the bay has high salinity, thats why cockles live in abundance here. As a result, the beach is all covered with small white shells for a 37 miles stretch 23-33 feet deep. There is certainly no shortage of tourists longing to see this wonder of nature! There are many beautiful shores and beaches around the world. Link Some are easy to reach tourist spots, while others are very secluded and off the grid. If you had a chance to instantly teleport to any beach in the world, which one would it be? Lets dream a little! What is a safe port? Link What should a captain do if he receives information about a coming storm? The answer is easygo to a safe port. These ports are required for vessels that are not designed to handle big waves. Often theyre created in natural bays and lagoons, but sometimes theyre completely artificial. Distances between safe ports are calculated so ships could reach at least one of them before a storm, regardless of their position at sea. Captains, today we want to talk about hurricanes! Link Not everyone knows, but they can form only at sea, never above solid ground. A hurricane collects a huge amount of moisture and takes it to a coast line along with a big wave called a storm surge. These surges appear due to low pressure beneath hurricanes: some water literally gets raised above sea level, and forms a tsunami-like wave. How strong can a current be? Link One of the most powerful and fascinating tidal currents in the world is Saltstraumen. You can watch this astonishing natural phenomenon in a narrow channel near the town of Bod. The speed of the current is about 40 kilometers per hour, which forms great swirls 5 meters deep and up to 12 meters in diameter. You can enjoy this nature wonder several times a dayit happens every 6 hours! Whats In the Bottle? Link In the sixteenth-seventeenth centuries, England had a law whereby anyone who dared open a sealed bottle fished from the sea or found on the coast could be sentenced to death. To read these messages, Queen Elizabeth I created an official position called Uncorker of Ocean Bottles. The bottles could contain messages from British spies: such secrets could not be entrusted to just anyone! Captains, did you know that the tourists visiting your tropical island can generate some hefty profits? Link Take a look at the people swimming in your waters. Tap a swimmer, and youll get a coin! One coin is not that much, but you know what they say: watch the pennies, and the pounds will watch themselves. Your Favorite Yacht Link Captains, which of the Sunshine Bay yachts is your favorite? Which one do you choose to ply the oceans blue? Which model ensnared you with its stylish looks and super stats: the Mirage Yacht, the Cruise Yacht or maybe something else? Tell us your stories in the comments below and say what destinations you choose most often for sea voyages! A good partnership is a key to running a successful business. Link Play together with your friends - they are the best partners in developing your island! To find the new ones, just leave an 'Add Me' message in the comment section below. Happy New Year! Link Captains, we wish you a very happy New Year: may it bring you joy and luck, and take you to the shores youve been dreaming of, no matter how distant they are. May all your dreams come true in 2019! Fun Fact Link What do a lighthouse and a butterfly have in common? A lighthouse on the Stonington peninsula in the Upper Peninsula of Michigan plays an important role in the migration of Monarch butterflies. Each year at the end of summer or the beginning of fall, it becomes a stop-off point for thousands of butterflies who rest there before continuing on their long journey. Speaking of lighthouses, what level is yours in Sunshine Bay? Post your answer in the comments below! Did you know? Link Captains, have you heard of the shallowest sea in the world? Its the Sea of Azov. Its average depth is 24 feet, and the maximum depth is only 44 feet. However, this body of water holds other records as well. For instance, its the most continental sea on Earthdue to its remoteness from the Atlantic Oceanand it is the most biologically productive sea in the world! Can a sea have no shores? You bet! Link Heres a riddle for all you captains out there: what sea lies in the middle of the ocean, but doesnt touch a single shore? Give up? Its the Sargasso Sea! Its shores are powerful Atlantic currents that rotate the waters of the sea clockwise. There are really spooky legends about this sea among sailors. Some say that it is completely covered with seaweed, and the ships that get trapped there never return to their home shores. Thats the reason why the Sargasso Sea is also sometimes called The Ship Graveyard. Of course, today things are very different, even though this region was dangerous for sailboats in the Middle Ages, it isnt so much now. The Sargasso Sea is a wonderful world inhabited by lots of various fish, and sparks a lot of interest among marine biologists. Did you know? Link The Red Sea is not only the warmest sea in the world, its also the saltiest sea connected to the ocean. It is also the only sea without rivers flowing into it. The underwater life in the Red Sea is abundant to say the least, and it offers some of the best diving experiences all-year round. Jane the Smuggler came to ! Link Do not miss her yacht with high-value goods. Remember that you need to build a suitable mooring for her ship. Did you know? Link Captains, not long ago we told you about the saltiest sea on Earth. Many of you have wondered in the comments why we didnt mention the Dead Sea. The answer is simple; the Dead Sea, as well as the Caspian Sea, are technically endorheic lakes, because they do not connect to other bodies of water, and the only water consumption in them is due to evaporation. Have you ever wanted to show your friends how awesome your city is? Link Its really simplejust take a screenshot and send it around to show off your ! Hey-hey, Captains! Do you have a case of the Mondays, or are you full of pep and ready to take on the world? Do you have any specific plans for the week ahead? Its time for tell us whats on your mind in the comments below. During the weekend we had technical difficulties. Follow the link for compensation, please Link . Sorry for the inconvenience caused. Do you dream of joining a yacht club and playing with tried and tested allies? Link Or, are you already the captain of a mighty club yourself, looking for new members? Leave a comment below, and maybe this post will help you find other players who will make the game even more fun! Join yacht club, climb to the top of the ratings and get amazing prizes! Boats over Houses Link Have you ever dreamed of living on your own boat? Its very tempting; you could go on a trip across the sea at any moment! However, yacht residents encounter numerous problems like plumbing, electrical supply, and so on. Of course, thats all too trivial for a real adventure-seeker. Would you consider living on a boat? If so, what city would you choose as your home port? Listing Our Talents Link Lets discuss your interests and hobbies. Brave captains, what do you do between the travels to faraway lands? Maybe you enjoy showing all the colors of the sea, sky and clouds on canvas or paper, or versify, or make breathtaking cosplay costumes Tell us all of your hobbies; better still, display your creations in the comments below! Halloween is drawing near! Link We are all waiting for this terribly amazing holiday; to while away the time, we suggest that you go on adventures. There will be three of these: Secret of the Northern Seas, In the Depths and Ghost Ship. Note that you can only start the next adventure after you've completed all the tasks in the previous one. Hurry up: you dont have as much time as it might seem. Have a good trip! Captains, the sea has been stormy this last week, but we've finally reached safe waters! Let's celebrate with not one but two bonus links below! Link Link Some say less is known about the depths of the ocean than the dark side of the moon. Sounds like a joke, right? Nope, its absolutely true. According to some sources, only 2-5% of the bottom of the ocean has been explored. Profound studies of the sea floor started only in the mid-20th century. Today, oceanography uses all sorts of subs, special ships, and even satellites! Dear Captains! Link We remind that you tomorrow, Monday, October 8 we will be performing some technical maintenance on the game. The game will be unavailable for approximately one whole day. Please refrain from launching submarines and activating bonuses during weekend, because if their effect is active during maintenance, they will be lost. Thank you for your understanding. Attention, Captains! Link Please be warned that on Monday, October 8th, Sunshine Bay will be undergoing maintenance. The game will be unavailable for approximately 24 hours. We strongly advise you not to launch submarines on the weekend or activate your bonuses. If either submarines or bonuses are active during maintenance period, they will be lost! Thank you for your attention. The Beach of the Cathedrals Link In the north-east of Spain there is a strange and extremely beautiful beach, the Beach of the Holy Waters, more commonly known by its tourist name, As Catedrais, or 'Beach of the Cathedrals'. Under the relentless assault of salt water and strong winds, the cliffs were shaped into structures resembling the arches in Gothic castles. To see all this beauty you have to climb down the cliffs, which is only possible at low tide. Beware, though: the tide comes extremely quickly in this region, and at high tide these wondrous cliffs and caves are totally submerged by water. Captains, open the pirate chest of amazing offers! Link Dont miss your chance to get in-game currency at unbelievably great prices! When did the first lighthouses appear? Link A lighthouse is a waypoint for sailors. Its light shows the way to shore and warns the mariners of treacherous reefs and rocks. The first lighthouses looked nothing like the modern ones; they were small towers with iron baskets full of burning wood or coal. We have found record of lighthouses as far back as the 7th century B.C., when there was one on a cape near Hellespont (now known as the Dardanelles). While no one yet knows when they were invented, the most famous lighthouse in history is The Lighthouse of Alexandria, built in the 3rd century B.C. and counted among the Seven Wonders of the Ancient World. Yarrr! Today be one o our favorite days o the year Talk Like a Pirate Day! Link Add a pirate twist t everythin you write in the comments! Lets Play Shiritori! Link Captains, how about we play a game? Let's try Shiritori. The rules are quite simple: each comment should contain one word, and you only need to think of a word that starts with the last letter of the previous comment, e.g., Sail Ladder Reef Flotilla. Of course, the words should relay to ships, sea and travels! And so we begin. Our first word is Anchor. Do you want to build these unique buildings on your island? Link Hurry to the game then because today you can purchase them at a discount! Take up this offer, you dont get a golden chance like this every day! What do you imagine when you hear the word penguin apart from Penguin Books, of course? Link Cold, snow, and the ice sheets of Antarctic, most likely. Yet, some penguins enjoy warmth and sunshine as much as our fluffy friends in Sunshine Bay do! Tourists from all over the world come to Boulders Beach in South Africa to see these amusing and friendly birds. The local penguins are not afraid of humans, but youd better be on your guard: they are not afraid to steal a camera or other valuables from absent-minded travelers! Friday is drawing near! Link Hey, Captains! Weve checked the calendar and its already Wednesday, what some people call the little Friday. Thats because the weekend can now be seen on the horizon, coming closer with each passing minute. We sure hope you have a productive end of the work week, but be careful not to work yourselves to the ground. And don't forget to grab your bonus! Hello, Captains! Hows your Monday going? Link What Plans Do You Have For The Week? Lets start in the comments! Heres a gift for you to start off the week just right! This Website is not affiliated With Sunshine Bay. Trademarks are the property of their respective owners. Game Content and Materials Copyright Sunshine Bay. All right reserved.